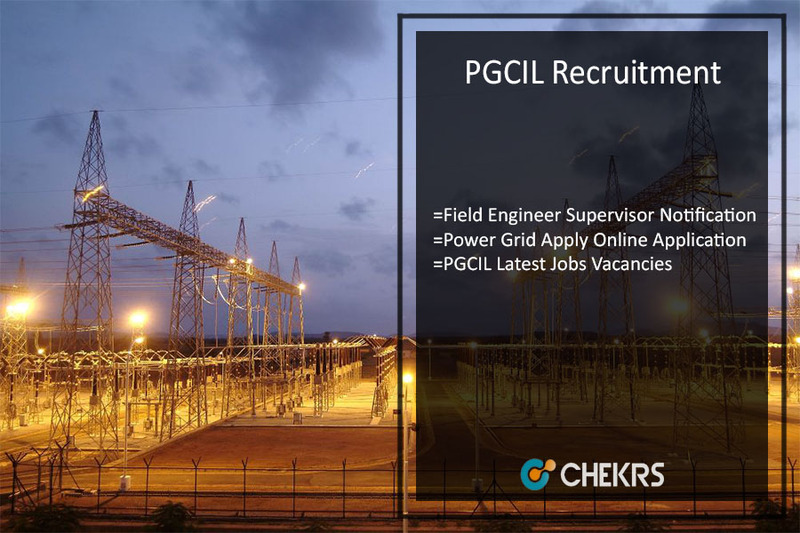 PGCIL AET Recruitment 2019 (पीजीसीआईएल भर्ती अधिसूचना – ऑनलाइन आवेदन करें) Power Grid Corporation of India Limited (PGCIL) to be Published the PGCIL AET Recruitment 2019 Notification. Applicants who have completed their Graduation and Engineering Degree with good marks can apply for the PGCIL Assistant Engineer Vacancy in the online mode on or before the last date. The PGCIL is inviting the interested candidates for the Assistant Engineer Trainee (Civil, Electrical, Electronics & Computer Science) Vacant post through the Power Grid AET Online Application through GATE 2019. Eligibility, Age Limit, Pay Scale, Written Exam Date, and more details are available here and can get the official notification pdf link. Latest Update: The PGCIL is going to announce the AET Recruitment 2019. Interested & Eligible candidates can check all the details from here. The Power Grid Corporation of India Limited has been released Assistant Engineer Recruitment 2019 Notification on the official website to fill up the various vacant posts through GATE 2019. The Power Grid Recruitment 2019 process is going to be conducted for the Field Engineer and Filed Supervisor (Electrical and Civil) Posts. This is good opportunities for the candidates who want to Graduation Jobs after complete their education can apply from here for the available vacancy. We have shared all the details which are necessary for the Selection Process. The PGCIL Online Application Process to be released soon. Interested candidates can fill the application form on or before the last date. Candidates are informed that the hard copy of application form will not be accepted by the PGCIL Recruitment Department, so candidates must complete the application process in the online mode. Applicants must scan their all required documents and upload on the application form. How to fill PGCIL Recruitment Application Form in online mode process is given the below section. Before applying the application form, candidates must check the field Engineer and Supervisor eligibility scheme from here. The candidate’s maximum age should be 29 Years. The Age Concession for the reserved category candidates will be based on the Government of India Directives. Participated candidates should pay the application fee in the online mode through the Credit/ Debit Card, Net Banking at available e-Wallet. The application fee is nonrefundable. Click on the Power Grid official Portal. Go to the Career Section and click on the Job Opportunities Link. Click on the Regional Opening Link and search Recruitment for Field Engineer and Supervisor Link. Read the official notification and click on Apply Online Link. Fill the required fields with personal, educational details and upload the scanned documents. Candidates can take a print out of application form for future uses. The selection process for the Field Engineer and Supervisor are different. Selections shall be made on the basis of scrutiny of applications w.r.t. eligibility criteria and desired experience profile and written test of the candidates found eligible after scrutiny. Qualifying marks would be a minimum of 40% (30% for reserved vacancies). (गेट के माध्यम से पीजीसीआईएल भर्ती 2019 कार्यकारी प्रशिक्षु पदों के लिए आवेदन करें) Latest Recruitment news for the B.tech candidates who are seeking jobs in Power Grid Corporation of India Limited. The PGCIL has announced a job notification for the Executive Engineer Post with the different discipline. The Company will be filled up Executive Engineer Vacancies through PGCIL Vacancy 2019 Exam. It’s a government Jobs opportunity for the Candidates who were appeared GATE 2019 Examination. PGCIL department doesn’t conduct a written examination and only consider Gate 2019 Exam Score. It’s a selection process based on merit list of Gate Exam 2019 and interview. The candidates who are getting a good score in the Gate Exam 2019, they can apply for PGCIL Executive Trainee Posts 2019. Here, we are giving detail of PGCIL Executive trainee Vacancy 2019 Notification like the number of vacancies, Name of posts, Last date applying for an application form, Official Website Link. Recently the PGCIL Department has released Executive Trainee Posts vacancies PGCIL Vacancy 2019 Notification. The interested and eligible candidates can apply for PGCIL Job 2019 Application Form before March 2019 through the official website. This article provides information about steps of applying for Application Form, Educational Qualification, Age Limit, Selection Process, Pay Scale etc. The candidate’s maximum age should be 28 Years as on 31 December 2019. Relaxation in Upper Age Limit is applicable to Reserve Categories candidates as per Government of India Norms and Rules. More information about age, the candidate can check on Recruitment notification PDF. The Selection Process consists of marks obtained in the corresponding paper of GATE 2019 Exam, Group Discussion & Personal Interview. Pay Scale of Rs. 24900-50500 Per Month during the one-year training period. Search “Job Opportunities” Link and Click on this Link. Before the application process, the candidate must read the recruitment notification carefully. Next candidate clicks on Application Form Link. For more information, we can update soon about PGCIL Recruitment 2019 and we are providing the latest update related to upcoming Recruitment on our website that is www.jobs.chekrs.com. If you have any query about PGCIL Executive Engineer Recruitment that you can write comments on the commenting box and take a review or feedback.